While speaking with journalists at the inaugural Aiteo/Nigeria Football Federation Awards on Monday, Super Eagles manager, Gernot Rohr, finally ruled out goalkeeper, Vincent Enyeama’s return to the national team. The coach said the inability of the former captain of the team to secure playing time had played a huge role in his decision, adding that his main target was to take active players to the World Cup and Enyeama does not fit into that quota. He said: “He is not playing anywhere, so we cannot take players who are not playing. We are working hard to have the best of our legs taken to Russia and we don’t have the luxury of naming a player that has not been playing in recent time. “Each time we have a problem, there is always a good answer and I hope it will be the same for the World Cup. There have been calls for the return of the Lille of France goalkeeper who retired from national team duties after falling out with former coach, Sunday Oliseh. After the retirement of Enyeama, Wolverhampton Wanderers goalie, Carl Ikeme, stepped in before he was later diagonised with acute leukemia, a situation that ruled him out of action. 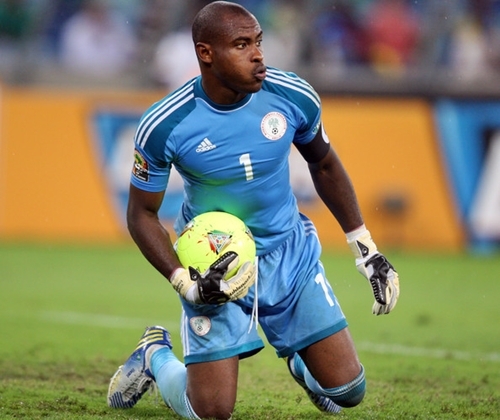 Enyeama had in the past snubbed all emissaries to return to the team, there was however subtle attempt by the goalkeeper to return to the team when he started having problems with the manager of his club, Marcelo Bielsa. Goalkeepers in the running for the World Cup are current first choice and home-based Eagles captain, Ikechukwu Ezenwa, Chippa FC of South Africa star, Daniel Akpeyi, Deportivo La Coruna youngster, Francis Uzoho and Plateau United goalie, Dele Ajiboye.